Please visit our facebook or trip advisor page to leave a review. Thank you for your feedback! Excellent service!!! absolutely loved the 4 fun dives we did with Ocean Junkies!!! Being very passionate and knowledgeable about scuba and marine life, Fira and Yasmeen are running a great operation in Hulhumale. 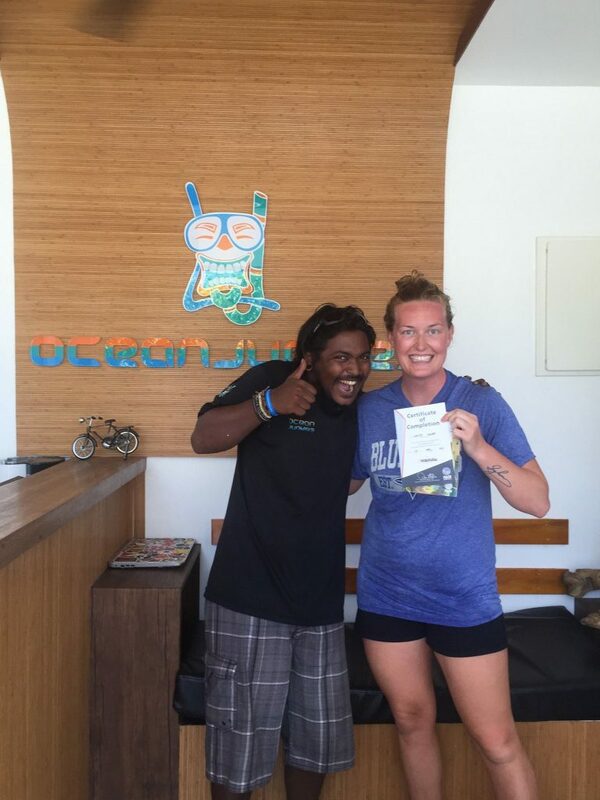 they’ll be able to show you the best diving spots in Maldives. all the gear is BRAND NEW which made our diving very safe and comfortable! 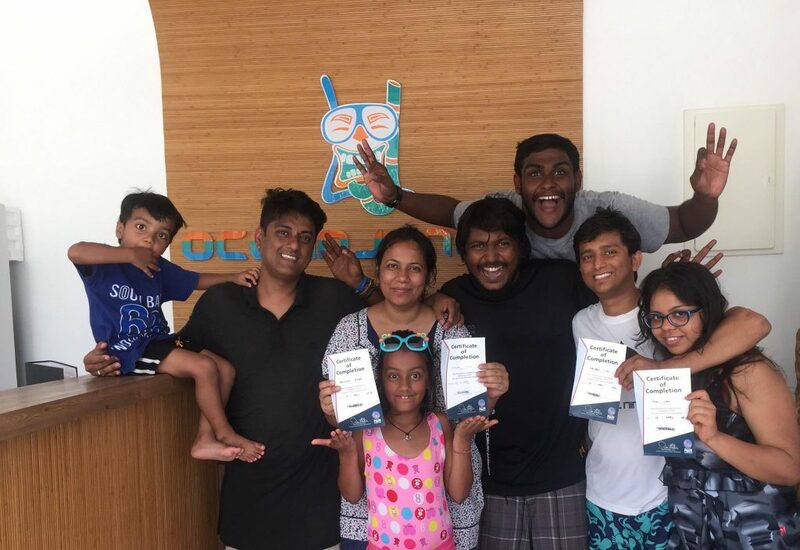 thank you Ocean Junkies for the best diving experience we’ve had till date! Ocean Junkies made our dive experience in the Maldives unforgettable. 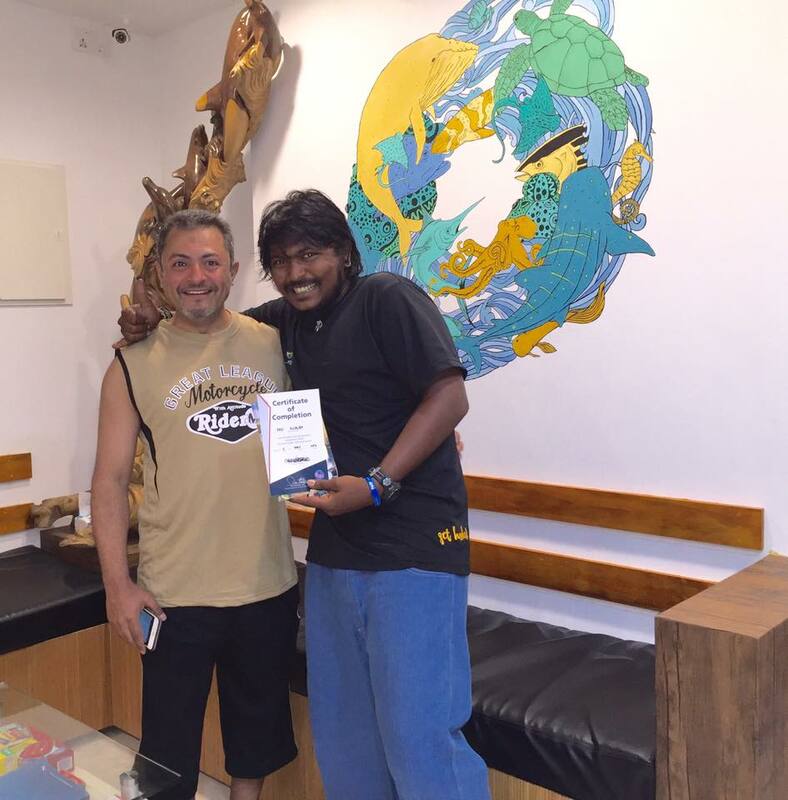 A PADI dive shop with a relaxed atmosphere and excellent dive master. Would highly recommend, especially for new divers to do a discovery dive as Fira is an excellent teacher! As a first time diver with a fear of the open water Firas made me feel super comfortable and went through all the basics with me before hitting the water. I had a great experience and would recommend it to anyone staying in Hulhumale!! 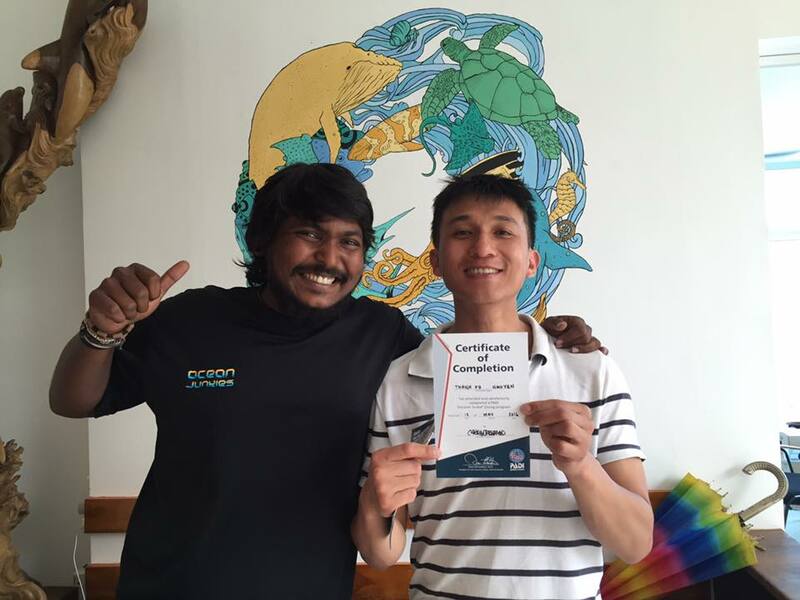 I did a Padi discovery Dive since I’m not a Padi certified diver. Firaz was excellent and I felt totally safe my first time underwater. The equipment was in excellent condition, great English and overall super incredible staff. The location was great for anyone staying on the island of Hulhumale and walking distance from the main road. I just may be hooked on diving from here on out. I was expecting to have a lot of fun and pleasure, but in fact i didn’t imagine that i will reach the top of excitement & happiness. It’s all about the professionally and confidences, and you will find it here in OCEAN JUNKIES. Many thx for the most amazing trainer Mr. Firas, and his staff. I really recommend anyone who wants to explore the deepness and beauty to go to this man. He is the exact right pro. person to assure that you get the ultimate pleasure. 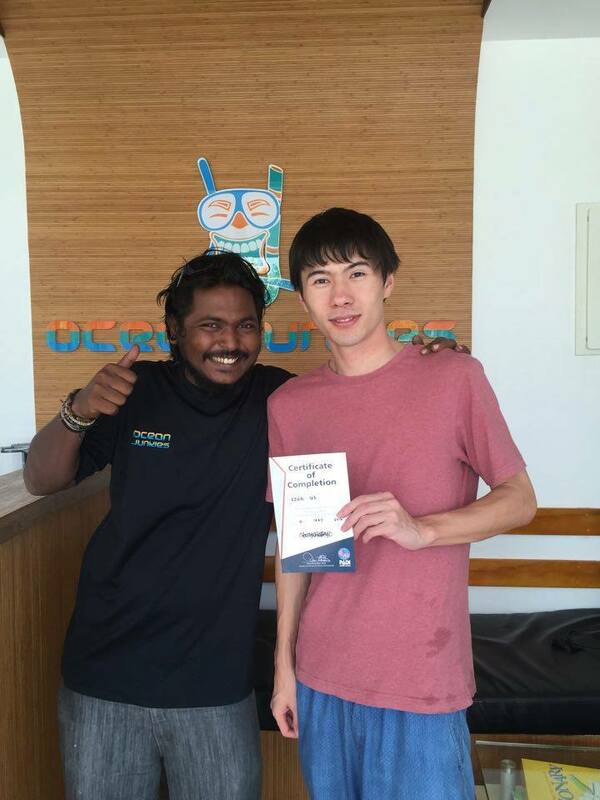 Really friendly instructors, felt safe doing my first ever dive. Highly recommended to everyone who wants to start/have an experience of diving for the first time. Awesome service, the team is very friendly and the equipment is all top-notch. Wish you guys the best, and hope to return again and do some more dives! Thanks again! My wife and I spent 3 days on Hulhumale before a 7-day liveaboard and needed to book a scuba review during our stay. We found Ocean Junkies via Google and went by the shop as it was near our hotel. Firas answered our initial queries honestly, saying he would love to accommodate us but the forecast for the day we wanted to dive was not ideal. He explained the forecast (rain and high winds), but mentioned that it had been the same for that morning and the weather had turned out fine. We agreed to a preliminary booking and Firas would contact us the night before confirming/cancelling the dives, weather depending. The weather on the day was good, despite a few brief showers, and the seas weren’t too choppy. Laura, a dive master trainee, joined us on the trip and my wife and I were the only guests. We did a short skills review in the lagoon and then got in two full dives in a couple of great spots. Highly recommend this new dive centre for anyone looking for professional, reasonably priced and relaxed diving in Hulhumale!